Storytelling lost in an era of clichés? While brands take the cut and dried approach to create an emotional appeal, storytelling takes a backseat. With best and worst campaigns, the article explores way to correct this. It was the early 2000s; every nook and cranny of the city tinted with only one grave question that could change the fate of many lives – Balbir Pasha ko AIDS hoga kya? Hoardings to print ads and TVCs, all scream this one question, making everyone think twice – who is Balbir Pasha and why would he have AIDs? With no information about a product, service or person whatsoever, Balbir Pasha took the country by storm, almost immediately. Everybody wanted to know about him, all were concerned! It was AIDs after all – a sexually transmitted disease, subjected to premonitions, prejudices, and frowns. On December 01, 2002 – marking World Aids Day, India was finally introduced to Balbir Pasha, a person of national interest by now. Created by Lowe for Population Services International’s new mass media AIDS prevention campaign, Balbir Pasha was India’s first ever AIDs awareness activity done with 360-degree branding exercise. In the next phase, Lowe showed Balbir Pasha in humane situations such as dance bars and red light areas. Balbir Pasha emerged as the person you never wished to turn into or end up with. He became an Indian legend, narrating a story of AIDs, cautioning millions. Balbir Pasha campaign also marked one of the first cornerstones of storytelling in marketing in India. The Wikipedia definition of Storytelling is the social and cultural activity of sharing stories, often with improvisation, theatrics, or embellishment. 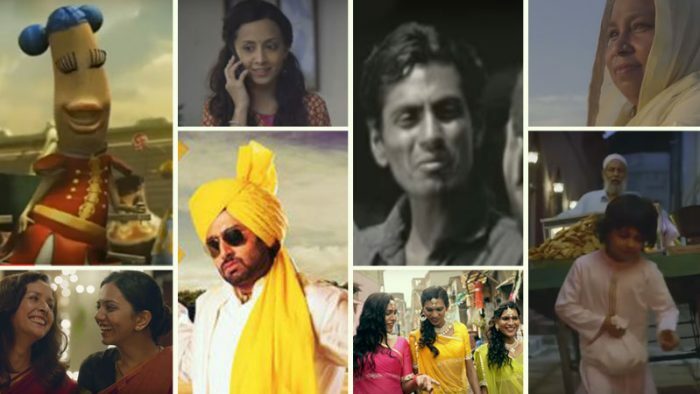 Storytelling made its way to the Indian advertising scenario as brands in the early part of the decade started incorporating a proper storyline with characters. When Idea Telecom was launched in early 2000s, the network didn’t have much to boast about in terms of services. Sashi Shankar, CMO, Idea Cellular expressed in media reports that the only option that they had was to connect with audience on an emotional level and storytelling was their best bet. To achieve this, the brand looped in Junior AB as their brand ambassador and depicted him as a character and not himself – weaving various stories around it. With time, consumers evolved and social media too started treading the track of storytelling. Short format ads or videos started cropping up and some indeed path-breaking. Remember Gondappa? Or Google’s famous Reunion ad! This however, shaped up a trend. One that shared a close wall with being a buzzword – overused and abused. With an approaching Diwali, Indian brands started churning out stories! Stories that somewhere lacked objectivity and even creativity. Amazon was one of the first brands to launch their Diwali communication with #BadeDilwale – the campaign was all about festive gifting and extending a hand to those who aren’t blessed. Most brands soon followed suit and Diwali emerged as the festival of lending a helping hand across social media. Reliance Fresh later released a campaign titled, #BadiDiwali – wherein with a similar storyline, the video depicted a lady striving to create a perfect night for her house help’s parents. Soon after, Amazon released yet another video that showed a woman gifting her washer-man new clothes for her son, on the occasion of Diwali. Surf Excel too, was seen attempting to make it a generous Diwali with their far-fetched script, which appeared more of a clone of the campaign executed by the brand in Pakistan. While Surf Excel strived to achieve Daag Acche Hai with their video this time as well, the whole story boiled down to an overstretch (for there is no sure way to replicate a rangoli design on a cloth) of doing something for those in need. Are brands and agencies flowing with the current, without giving as much as a second thought to the story itself? The success of a story relies as much as on its making and marketing as it does on the script. 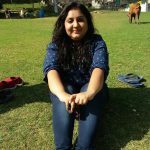 In July 2016, Brooke Bond initiated a campaign that had a tea booth set up at a buzzing railway station in Mumbai – the idea was to give commoners a chance to interact with the dwellers of red light area, often labelled as bad. While the experiment in itself went off quiet smoothly – the execution seemed to be a hitch. The video appeared staged and also lacked a brand connect with Broke Bond, the brand that created, The 6 Pack Brand, a successful campaign earlier same year. Vim too, launched an initiative titled, Afroz – A Story of Liberation and Change, a campaign that advocated change begins at home. While the video poised a strong message, it lacked an active content dissemination network. The video lacked apt push on the brand’s social media pages – something that could have changed he fate of the campaign altogether. It is sheer irony that the campaigns that are well marketed lack objectivity in storytelling and good stories aren’t pushed enough. In today’s context, there isn’t a dearth of understanding around the importance of storytelling – it lies in the execution. Narrating a story that you don’t resonate with or even worse, merely replicating a story that worked previously or for someone else. What brands need is an objective for the story, a message to convey through the story, and then the story itself – with characters, a plot, and a climax. Coca Cola coined Happiness Factory in 2007 – an initiative that started off with TVCs to tell the whimsical tale of what happens inside a Coca Cola vending machine. Cute animated characters sang the chronicles of the fairy-land. The campaign aligned well with Coca Cola’s brand positioning – Open Happiness. With the advent of social media, the cola brand released a six-and-a-half-minute video on YouTube – The Great Happyfication. The film distilled five secrets of happiness taking users in the epic land where Coca Cola is made. The campaign was a huge success, since Coca Cola managed to build a world in which the story could evolve. Vodafone did the same with ZooZoos – created a relatable character, a world in which they could grow with the brand, and buckets of entertainment. Narrating a story isn’t enough. Especially, in the social world, where consumers with the attention span of a goldfish are bombarded with video content every second. Go beyond the buzzwords. Are you convinced with the story? Does it allow your brand to grow? Why do you need a story in the first place? And if the answers to all these questions are satisfactory make sure that your story is marketed well. Live your story and your consumers will live it too. #WomensDay tweets that will make you cringe!